I am a freelance web designer based in Brisbane. I provide comprehensive website design services without the usual complications and costs associated with large-scale marketing firms. If you are seeking to update your web site design or to create a new one, it makes sense to work with a professional web freelancer dedicated to adding a valuable asset to marketing – your website. I work mostly by referrals and that makes your satisfaction a priority. Freelance website designers build their reputation from success. A professional freelance website designer isn’t tied to a specific industry and can draw from experiences with companies in different sectors. 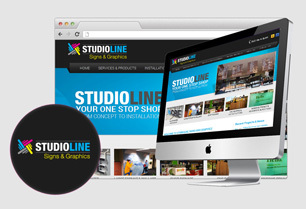 You also benefit from having a customised web design suited for your business. Your business isn’t like everyone else’s. It just makes sense to have a website design that stands out from the competition. My clients appreciate how the colours and artwork used in their website are attractive and captures the attention of visitors. You only have a few minutes to make that connection with the visitor. I work with you to determine the best colour combination and graphic design. Navigation laid out in a logical manner provides a positive experience for visitors to your website. In fact, people are able to find your website when using search tools such as Google or Bing because your webpages are optimised for search. When you take advantage of my freelance website design services, whether for a local Australian business or global enterprise, rest assured your website is easily found on the Web. This brings new visitors to your pages which are designed in a manner that properly communicates what is important in your business: quality, clarity and sales. Your website should be your biggest conversion tool. For that reason, my team of professional freelance graphic artists, copywriters, and web developers work together to develop a unique, cutting-edge design that people can enjoy using. They find it easy to access pages and your shopping cart. Most importantly, it reflects the company image you want to convey. You are invited to review the graphic design examples in my portfolio showcasing some of my recent projects. They may even give you some logo design ideas. If you don’t have your own domain, hosting or server, I can help you with secure professional website hosting. Have your own hosting? Not a problem. All work can be uploaded during off hours. As a Brisbane freelance website designer I don’t have the overhead a large corporate marketing firm generates. That goes a long way to keeping your costs lower. It’s easy to contact me to review freelance web design services that fit your budget. Click the blue “Contact Me” button above or simply call me today for a quote 0401 453 525. "Hi Leon, Mark and I would like to thank you for the fantastic job you did designing our website. You provided support and assistance every step of the way and went above and beyond our expectations. You made the time to make sure that we understood how our website worked and provided continous assistance until we "got it right!" . You have made what could have been a complicated process easy and we will be recommending you to anyone who wants professional and friendly service to design a website. We are happy for any "potential" clients to call us to discuss our experience."